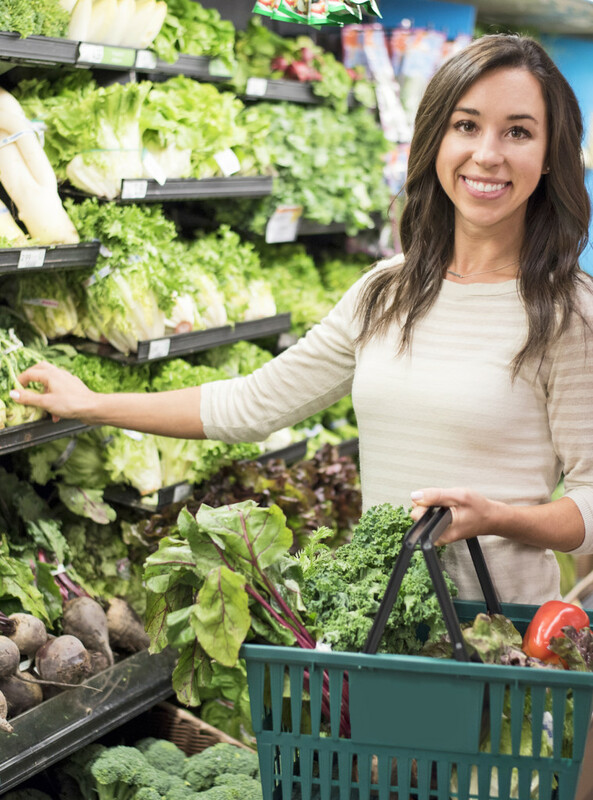 Grocery shopping for healthy food can be a daunting task, especially with food sensitivities, but it doesn’t need to be! If you’ve ever felt lost or overwhelmed in the grocery store, wondering if the brands/types of food you’re buying are the healthiest or if the savvy marketing on the label is just making you think that…this is for you! Optional additional topics: Does organic or non-GMO really matter? What does ‘all natural’ mean? You’ll walk away with TONS of helpful and relevant information based on your specific eating habits and lifestyle, plus LOTS of handouts and templates to use as quick reference and to keep things simple. Ready to book your tour? Contact me! If you want to change your eat habits to achieve your goals for your health, the best place to start is right from your own pantry and refrigerator. This is the ideal class for those who want to detoxify their kitchen. This is also a great option for those who are newly diagnosed or suspect food sensitivities to things like dairy or gluten…and don’t know where to start. Change your environment to match your goals, have it work with you versus against you! During this session we will look at what’s in your fridge and pantry, and I will help you identify which foods can easily be replaced with healthier alternatives that still taste delicious and will nourish both your body and soul. We’ll put together a list of better options for you to buy during your next grocery trip. It’s a lot easier to resist those unhealthy foods when you can open your pantry without seeing many boxes of cookies and bags of potato chips staring back at you, trust me! Are the foods in my cupboards, fridge and freezer actually good for me? What exactly are these ingredients in my food, should they be avoided, why? What are good healthier swaps for my favorite foods and ingredients? How do I read food labels, and identify hidden allergens, additives, and preservatives? What should I have on-hand to keep me full, satisfied, and healthy? What are some helpful kitchen tools and gadgets to make healthy meal prep easier? How do I safely clean my home, with non-toxic products? I cater each makeover to your health goals and lifestyle. You’ll also get LOTS of handouts and templates to use as quick reference and to keep things simple. Ready to book your makeover? Contact me! In this interactive date night cooking demonstration class, you will enjoy a 3-course, nutrient-packed meal, get to socialize and have a good time with your friends, and walk away with helpful handouts and recipes! Walk away with handouts containing valuable, specific, and practical information to guide you on how to eat healthy (and why! ), the best items to stock your fridge and pantry with, and recipes! Have food allergies or sensitivities, or would like to learn more about them? No problem! I’ll teach you how to make planning and prepping healthy and delicious meals easy and efficient. Think of all the money you’ll save ditching the take-out and making your favorite foods at home! Not only will we walk through each step of the process and explore ways to fit it into your lifestyle the best way possible, but we’ll also get hands on and do some meal/snack planning and prep during this session. Hands on and lots of fun! Flexible for all dietary needs. Ready to book your class? Contact me! I offer fun and interactive 30-60 minute workshops on a variety of topics that help people see how their food, medicine, and lifestyle choices impact their lifelong health and wellness. These can be done in-home for a family, group of friends or neighbors, or at an off-site location like office, retreat, gym, yoga studio, apartment community center, etc. Topics can include healthy food swaps, basics of how to eat healthy, dangers of sugar, stress management, 6 simple steps to wellness, healthy cooking demos, etc. Want to book a workshop? Let’s talk about it! You (and friends if you’d like!) will learn step-by-step how to put together simple, delicious, and healthy food based on your skill level and dietary needs. We’ll talk about nutrition 101 basics, knife skill lessons, how to eat for achieving your health goals (weight loss, more energy, digestive health, reduce cravings, etc), food sensitivities, or any other topic you’re interested in as it relates to cooking! This class can include: meals for breakfast, lunches or dinners, snacks, entertaining, eating on the go, the busy family, etc. Participants get the benefit of the guidance from a Certified Health Coach, the support of a small group of like-minded peers, the accountability of regular meetings (in-person or by phone) and private Facebook group for even more tips and advice. Topics discussed can include understanding and reducing cravings, how to lose the diet mentality and get results that last, discovering new foods and how to easily incorporate them, ways to increase energy naturally, and many more. This is perfect if you have a group of friends, neighbors, or co-workers all working toward similar health goals. Questions? Have a small group you’d like to start with? Let me know! More than 80% of the population has food sensitivities, and the majority of them don’t know it. Hidden food sensitivities appear through a variety of symptoms, including gaining or difficulty losing weight, low energy, headaches, brain fog, inflammation, joint pain, and digestive troubles. I work with ALCAT to provide this testing for my clients to help them see optimal results. Curious if you have any hidden sensitivities that might be holding you back from looking and feeling better? Want more information or to order your test? Let me know! Challenges are highly customizable and use a competition angle to encourage healthy eating. 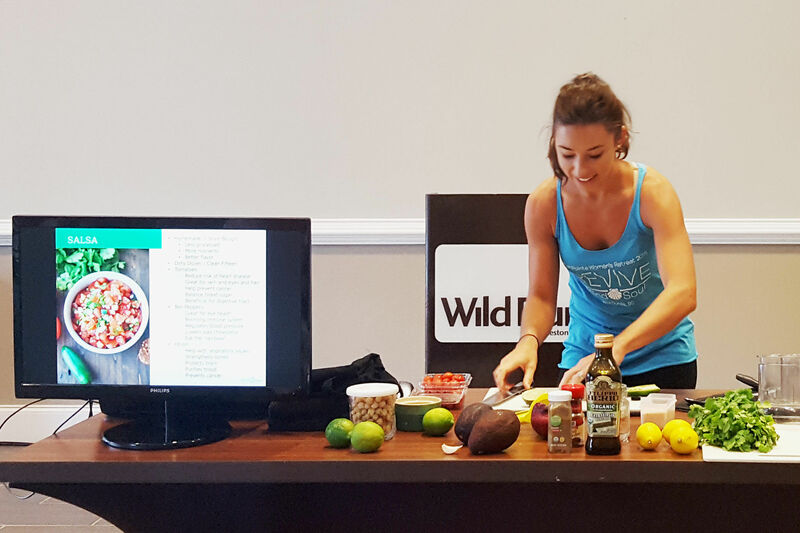 They utilize a points system, private Facebook group, healthy eating workshop and smoothie demo/tasting, healthy recipes, health tips, and a wrap up party. They’re perfect for gyms, yoga studios, small offices, church and sports groups, apartment complexes, neighborhood communities, and more. The Challenge contests can be an individual or a team effort and always include prizes for different accomplishments and participation goals. To see Challenge testimonials, click here. Want to start a Challenge? Let’s work through the details!